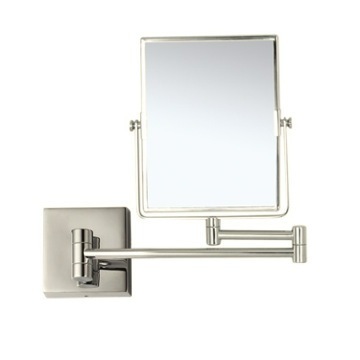 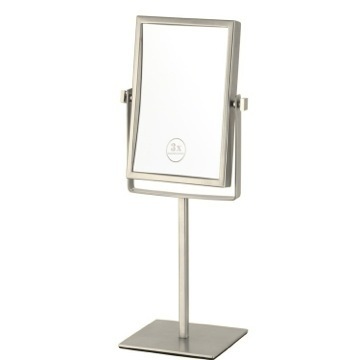 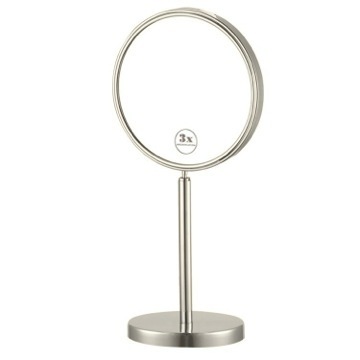 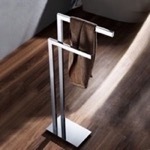 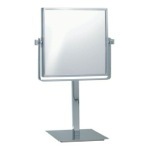 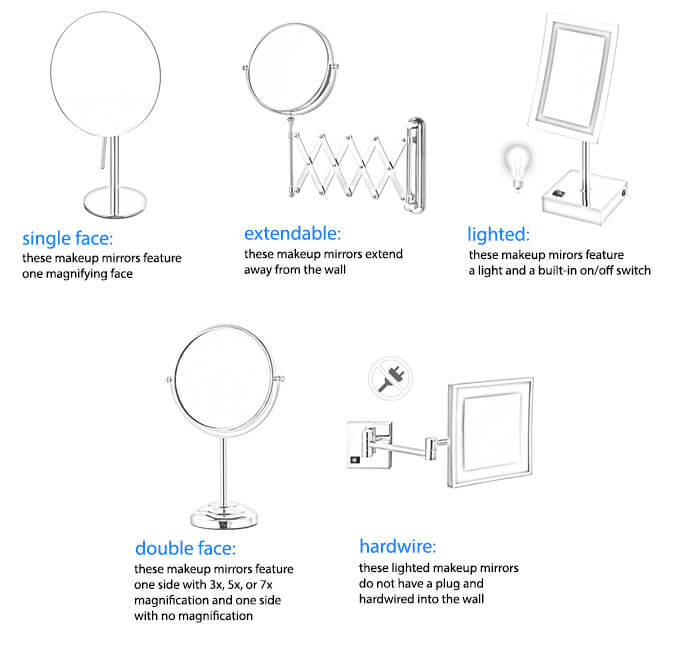 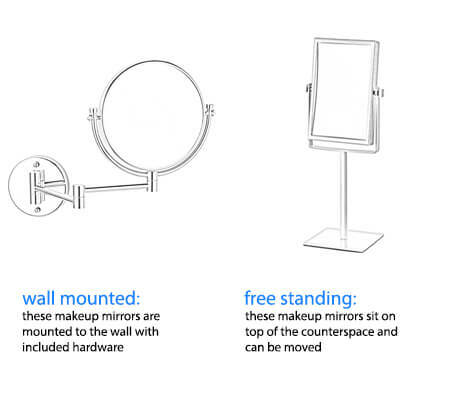 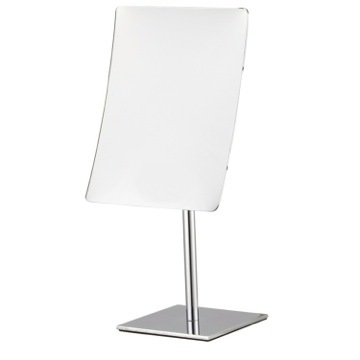 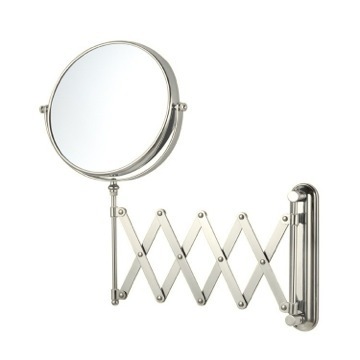 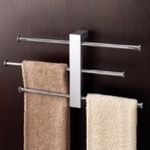 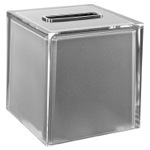 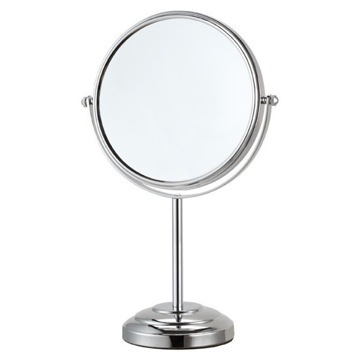 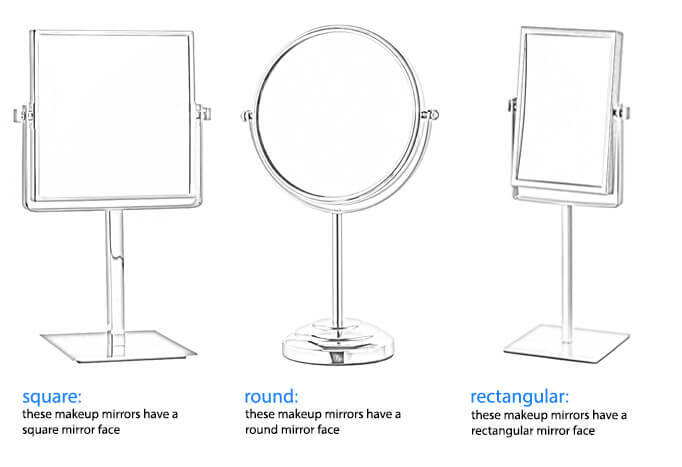 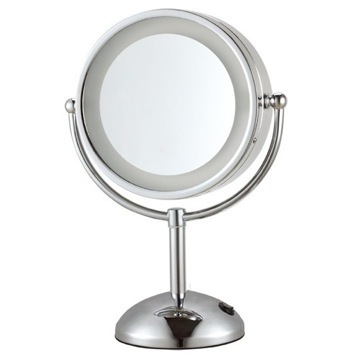 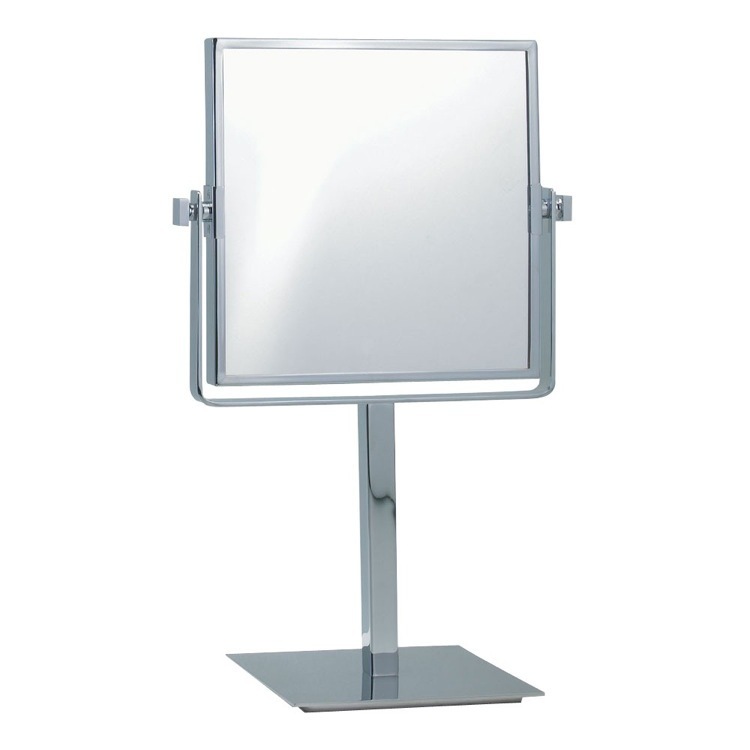 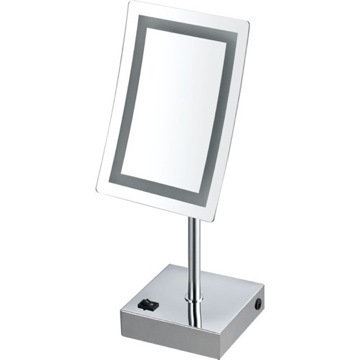 Free standing tabletop makeup mirror made of high quality brass and available in chrome. 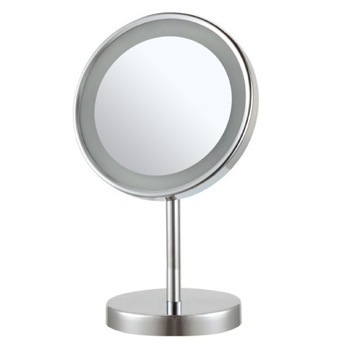 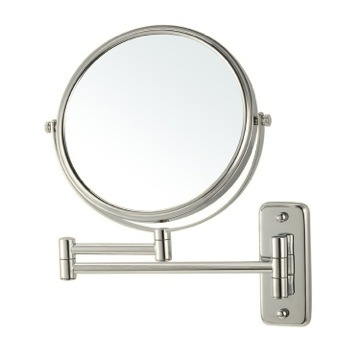 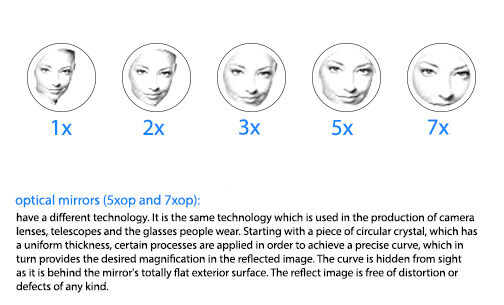 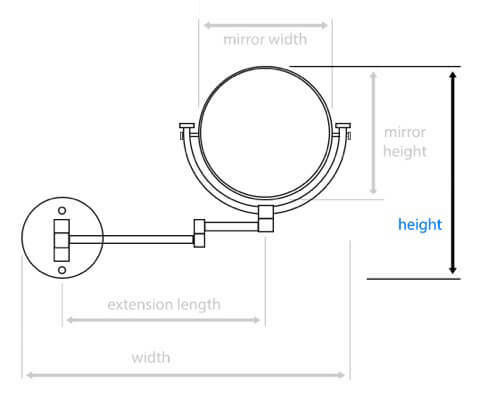 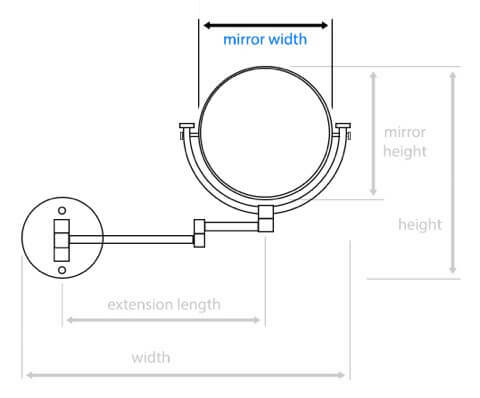 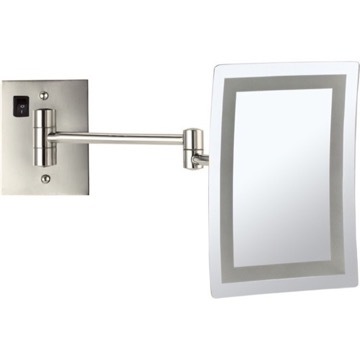 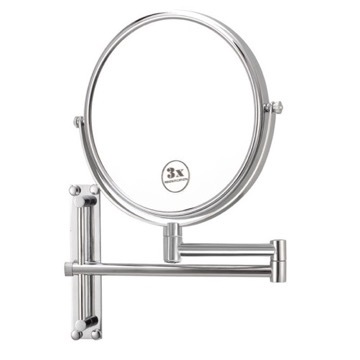 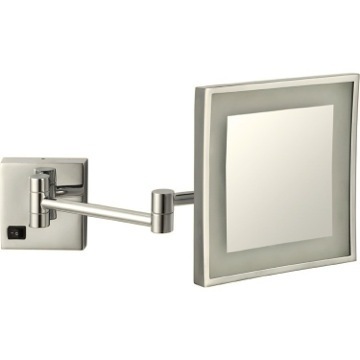 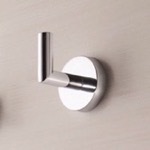 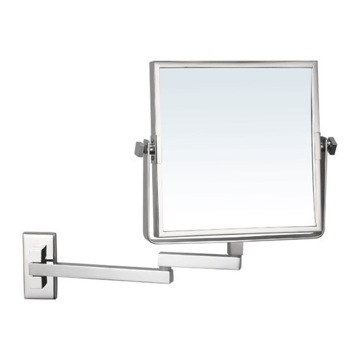 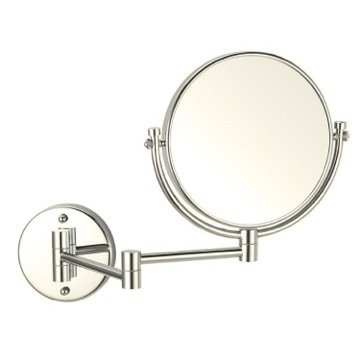 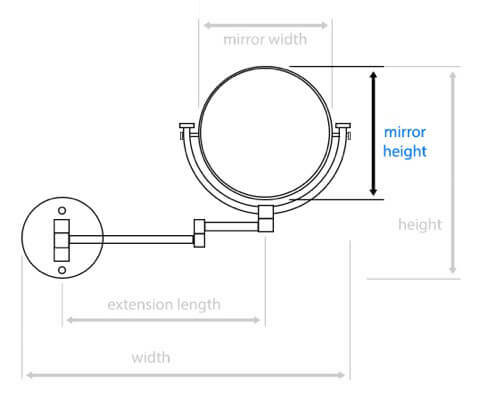 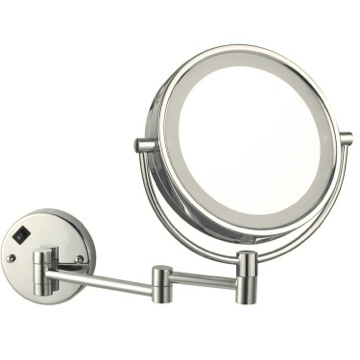 The double faced, 3x magnification mirror has a beautiful squared profile. 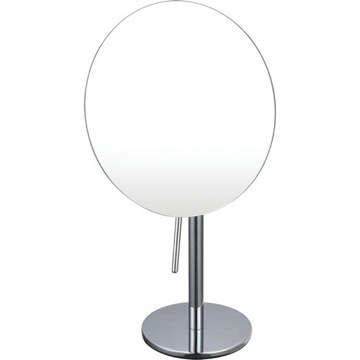 No this mirror is not lighted. 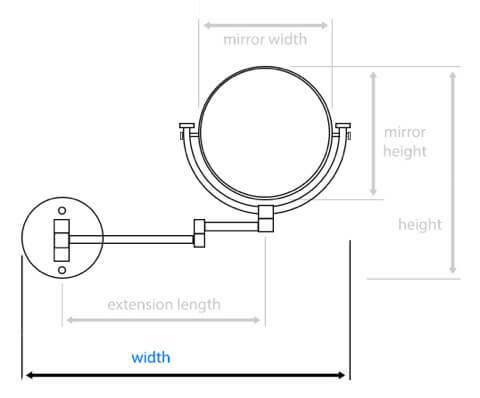 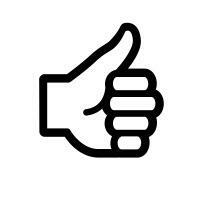 Do you have any additional tech specifications? 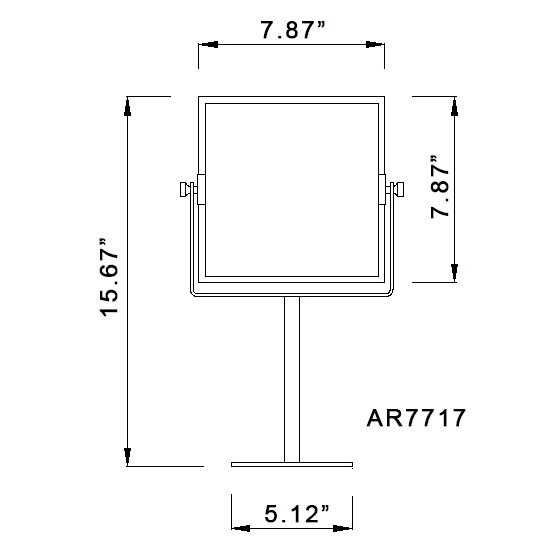 Overall mirror size (including finished trim) - 7 7/8" x 7 7/8"
Overall left to right (outside frame to outside frame with knobs) - 9 1/2"
Mirror portion only - 7 1/4"x 7 1/4"
Overall height (top of mirror to base) - 9 1/2"
Mirror portion thickness - 3/4"
Base - 5 1/8" x 5 1/8"
Base thickness - 1 1/16"
Arms total length - 7 7/8"